Designing your own sounds sets you apart from the pack. The hurdle is often understanding the workflow and concepts of your favourite synthesiser, which is where this course steps in. Featuring 2h40min of comprehensive tutorials plus a bonus 2h10min min Masterclass recorded live at Shoogle Studios in Glasgow, this is a detailed course to help you understand synthesis on a deeper level. Focussing on Lennar Digital Sylenth1, you’ll get taken on a journey from the basics of synthesis right through to the advanced features of this powerful synth to help you design more sounds. Techniques learned can be applied to the synth of your choice also! Featuring 32 custom presets from the course and nearly 5 hours of content, don’t struggle with synthesis any more. A deep insight into synthesis and more advanced techniques! Video 1: Overview – Describes the basic layout of sections, parts, settings and preset management. Video 2: Oscillators – The oscillators section is described in detail. Learn the sound of different waveforms, transpose, engage unison, use detuning, retrig, pan and phase controls to get the most of the sound generating blocks. Video 3: Filters – Shape your sounds with different filter modes, get to know the routing between parts. Video 4: Modulation Section – The strength of every synth lies in it’s modulation section. 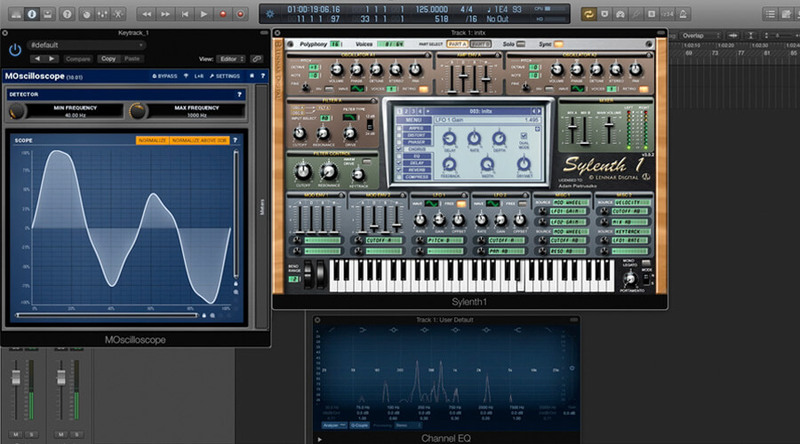 Master the modulation sources and routings for creating different effects. Video 5: Master FX 1 – Apply distortion, phaser and chorus for livening up your patches. All knobs and controls in each effect block are explained. Video 6: Master FX 2 – Add a final touch to your timbres with EQ, delay, reverb and compression. 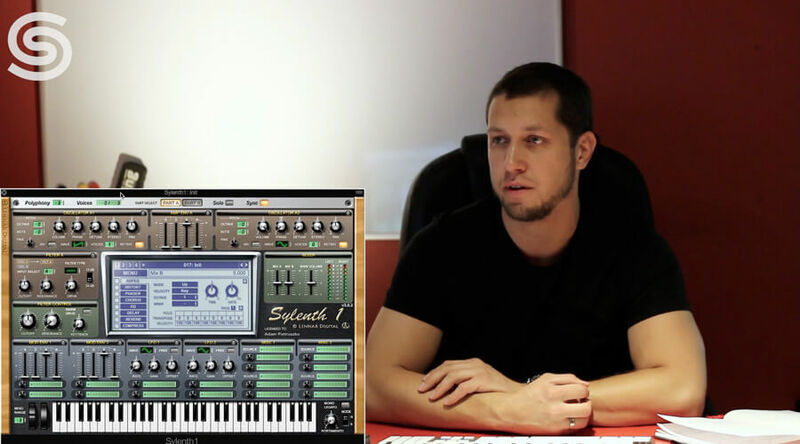 Video 7: Arpeggiator – Harness the power of Sylenth’s Arpeggiator and step sequencer. Also features the use of chord repeater and step velocity modulation for gated effects. Video 8: Performance Controls – Learn about legato, portamento, glide modes. Use the modulation and pitch bend wheels. Assign the knobs on your MIDI controller to Sylenth’s controls. Video 9: Pulse Width and PWM – Learn to control and modulate the pulse width for creating realistic plucks, lush strings, ethereal pads and talking wobbles. Video 10: Exploring Envelopes – Covers different applications of envelopes. Enhance the attack of your sounds, use delayed, negative and release modulation for expressive sounds. Video 11: LFO Applications – Reach beyond vibrato, tremolo and wobbles. Use random and sample-n-hold waveshapes, create rhythmic modulations. Also features AM and FM sounds by pushing the LFOs into the audio range. Video 12: Advanced Keytrack – Who said keytrack is to be used only in the filter. Balance your sounds with negative keytrack. Control vibrato and panning along the keyboard for rich bells and e-piano sounds. Video 13: Dynamic Layering – Learn to mix parts A and B in real time with the modwheel, LFO and envelopes for evolving sounds and expressive timbres. Video 14: FX Tricks and Dubbing – Control distortion and phaser with modulation sources for added expression. Use maximum feedback on the chorus, delay and reverb for metallic sounds, dub echo and reverb textures. Video 15: 8bit – In this bonus section you’ll learn how to emulate the 8bit/chiptune timbres of retro games to use in your tracks. Sound design is at the core of your music. This 16 part video course is a comprehensive resource for creating your own unique and innovative sounds using Lennar Digital Sylenth1. 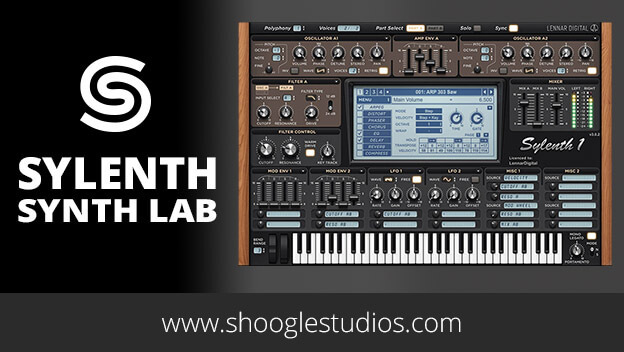 You will first be taken through the core functionality of Sylenth1 (using the new version 3.0+), followed by a deep insight into synthesis and more advanced techniques, complete with diagrams explaining concepts plus oscilloscope and spectrum analyzer views. This course is aimed at developing your knowledge of sound design which you can apply to your favourite synth. Each video in the intermediate techniques section features an example track with sounds in action and 32 presets for Sylenth1 are included which are made throughout the course! The total length of the videos is 2h 40min + a special bonus 2 hours 10 mins Masterclass in sound design recorded live at Shoogle Studios in Glasgow. Created by Adam Pietruszko. Sound designer and synthesis teacher at the Academy of Audio Engineering in Warsaw and Polish-Japanese Academy of Information Technology, Faculty of Audio Engineering. Creator of synth soundbanks and sample libraries for major soundware vendors. Specialising in cinematic, ambient, techno and electronica. A deep insight into Sylenth1 plus learn advanced techniques!